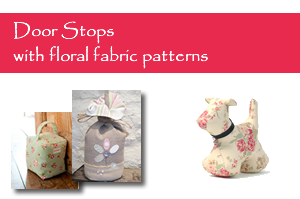 Decorative Door Stops: Floral doorstops for the summer! Door stops don’t have to be boring – Below is a selection of decorative door stops to add some warmth in your house. 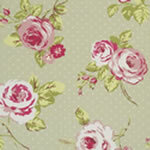 These door stops are made of floral cotton fabric, perfect to brighten up your rooms this summer. Check the instructions on the site you buy your doorstops from as you may need to buy the filling for some of them and fill them yourself… rice or sand is fine! Dog lovers? 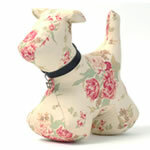 We have found this adorable floral puppy door stop – full of character and unique, this handmade door stop would do a great job at keeping your door open! Chic and Elegant fabric door stops – Kensington door stops – these door stops are conical in shape and measure 25cm high with a base of 15cm and depending on the fabric have either a tassle top or a fabric loop. Pins and Ribbons have nearly 70 different design options to choose from so you can keep opened every door in your home with grace and style! 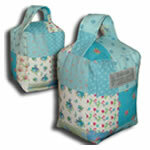 Floral patchwork doorstops – designed and produced by Rosablue – all fabrics used are cotton designed and printed in-house. The door stop measure around 14cm x20cm and weigh around 1.75kg. 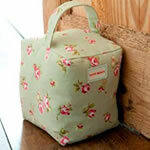 Stylish and pratical door stop – Rosebud Sage Green Door stops by Dotty Brown – this carefully made door stop comes with an inner bag of kiln dried sand, wrapped in soft polyster fibre. The size of this square door stop is 18cmx15cmx14cm. Linen Door stop with applique flower by Ticketty Boo – This handmade door stop is fully lined in colour coordinating fabric and is tied at the top with natural jute string. 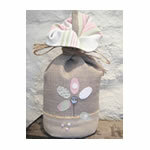 The door stop comes filled with sand in a sealed bag and topped with toy stuffing to make sure it keeps its lovely shape. You can easily add some lavender or your favourite scent!